Repro took forever to print and mount our board ! Ever notice how everything seems to take longer when you're in a hurry? 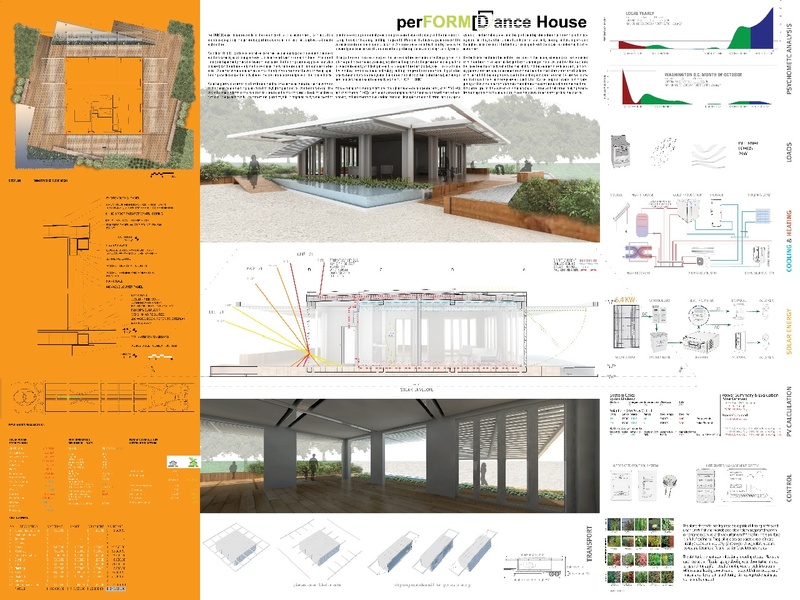 The FIU PerFORM[D]ance House is born! FedEX took forever, too --and they were SO was glad to get rid of us! 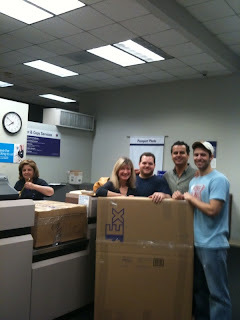 (L-R) Marilys, Andy, Roberto and Manny at the Coral Gables FedEX. Exhausted! Well, it's officially Spring Break, but we have a ton of work to do! Our conceptual design models and revised drawings are due at NREL on March 16th! We have special permission to use the computer lab and laser cutter even though it's officially closed for the break. The package needs to go out, at the latest, on Monday March 15. Today was the day....! An outside jury of sustainable design professionals chose from all the student projects the one(s) they thought would represent us best at the 2011 Decathlon. 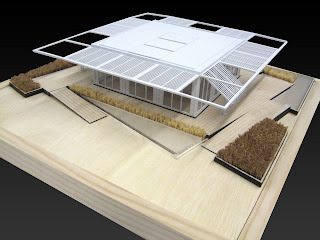 The Requirements: A model at 1/4" = 1'-0", and a board folded according to DOE rules describing the project. The 3 students whose work was chosen presented their projects and answered jury questions in the Reading Room. Then the jury deliberated, voted, and announced the winner: Manny! Now the work begins.... Conceptual design DUE at NREL in 1 week! !